At the best of times, falling asleep Saturday night is a chore for me. I’ve tried everything – taking a nap on Shabbat afternoon and not taking a nap. Drinking a ton of water before going to sleep; not drinking from the early evening onward. I have to admit I’ve never counted sheep, but I have counted numbers. My best option is either to surf on my phone (that usually fails) or read a book. Personally, I’m a computer geek, so really technical stuff is more likely to interest me that it is to put me under. This Shabbat, we had company for lunch – neighbors from the right, neighbors from the left. No, not politically – I mean really. Our next door neighbors from either side came over. Kids played all over the place. Food was brought from all over. It was great. So great, nobody wanted to leave until we men went off to the afternoon prayers. Tired but energized, I did what I always do Saturday night. Yes, I wash the dishes. No, I don’t love it but someone has to and that someone is me. My wife and I spoke about this coming week and last week, and I quickly checked the news. Rockets were fired. So much for the cease fire. Does this mean war? Ground forces or only air and artillery? How many times will the UN condemn us between now and next month (my wife says 3, I say 5 – we have a bet running. Loser has to do the dishes. Since I do them anyway, I think I’m winning. Paradise, the kids are finally in bed. Clothes laid out for the morning. My wife did this stuff – hey, I did the dishes. Then my wife took herself off to bed and I went to check the news one last time. Within minutes, there were rockets fired. I love Wikipedia. It has some of the strangest pages. It even has paged for all rocket attacks on Israel. In the bad years, the cumulative page just has a link to another page which lists all rockets fired (well, so Wikipedia claims). In the years where there are hundreds of attacks, there’s only a line like this one: Main article: List of Palestinian rocket attacks on Israel, 2007. As of June 2015, there were 18,928 attacks (though there is a high probability that the list is missing hundreds of attacks). Sadly, 2018 isn’t even half over and already we have a separate page for the year. 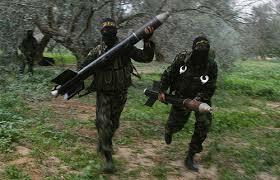 Last night, at least two mortar shells were fired from Gaza even before the Jewish Sabbath had ended. Just as I was winding down and contemplating sleep, another siren. Iron Dome shot down at least two missiles flying towards Sderot and the Eshkol region. Sleep fled. My country is under attack. More sirens at 1:17 a.m. and at 2:44 a.m. Sleep became a dream. I took a walk around the apartment. My children are fast asleep; my wife safe in our bed. We have a bomb shelter. It is filled with books, a desk, too many things we keep saying we’ll get rid of. Enough room for all of us to get in and wait out any possible missile attack. But we are beyond the magical 40 kilometer mark. Standard katyusha rockets can’t hit us; we are safe from mortar fire. Another attack at 3:15 a.m. and I pray it is the last for the night. Sleep comes to me minutes after I went to bed and fled in the early morning light. With less than 3 hours of sleep, I had to start my day and my week. I’m tired and grumpy. I help the kids as I prepare to leave for work myself. As I crawl through my day, I know that I am hours away from bed and already I am praying that Israel’s southern residents have a quiet night. I am in awe of their strength and so proud of their love of this land. They make me feel like a coward at times. Rockets have come near my home only rarely. They live with the fear and the reality every day. As I rode the train to work I wonder how anyone can expect us to live this way. Anger is my companion today. Fury and exhaustion. This has to end. If the Arabs do not stop, we must stop them. OMG, No parent should have to hustle their children into bomb shelters in the middle of the night – or force them to sleep in one because it is too much to get them to safety otherwise. In anger, I know that this is an insanity that has to stop. And the reality is, Israel is the only one who can make it stop.